A flyer template is often the cheapest and a secret marketing tool for businesses that want to beat the intense market competition silently. 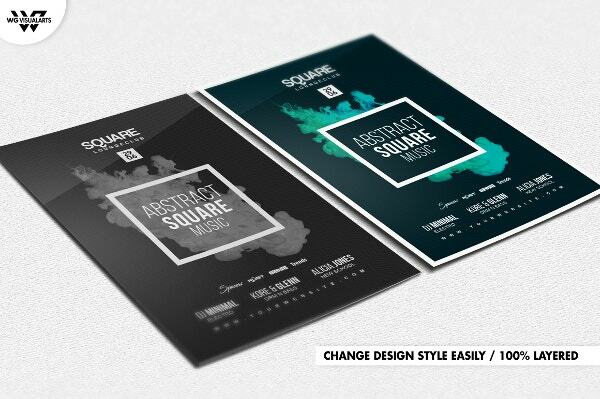 By using an abstract Flyer Templates for your business, you are not only able to reach out to a wider market at a relatively lower cost but also you can reduce unnecessary marketing overheads associated with other means of marketing. 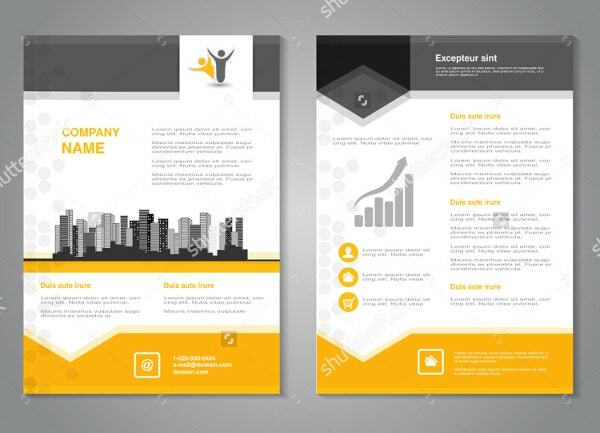 If you are looking for a perfect alternative to social media marketing or paid advertising, you should consider using the following templates. 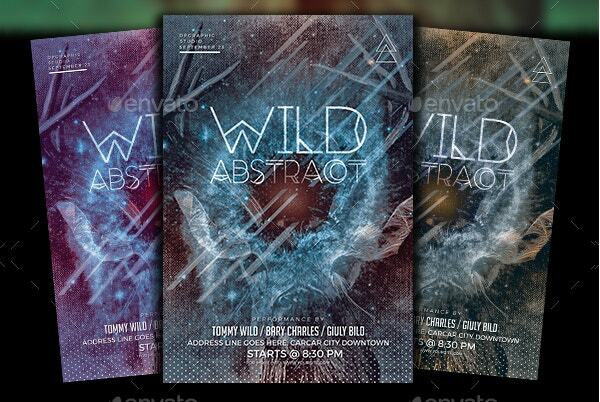 If you want to market a nightlife event to crazy party lovers, this is the best template to use. It can capture the attention of a wider audience as expected, especially the Friday night party boys and girls. Are you a performing artist looking forward to hosting a big music event in town? 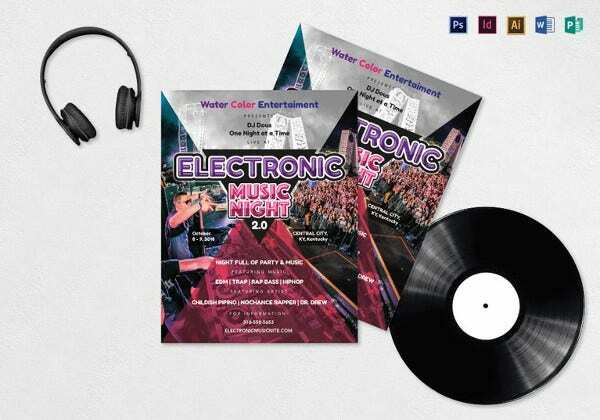 You can use this template to create an elegant music party poster for event marketing. It is cheap and easy to customize. If you are planning the next big event in town, this is the best template to use. Market your event silently so that other competing artists won’t know what you are up to. Whether you want to create a custom party poster or a cover for your next eBook, you can download and use this special flyer. 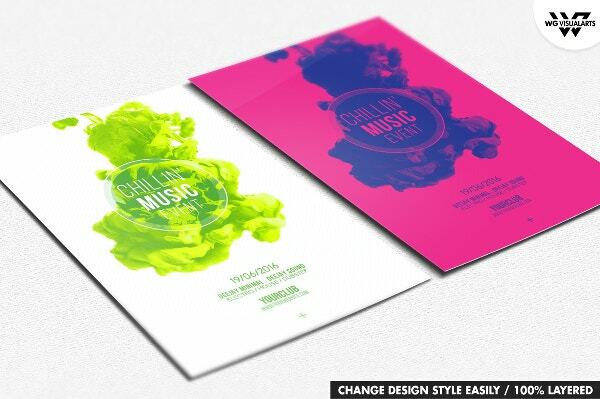 The template comes with commercial free fonts and uses the CYMK color mode. 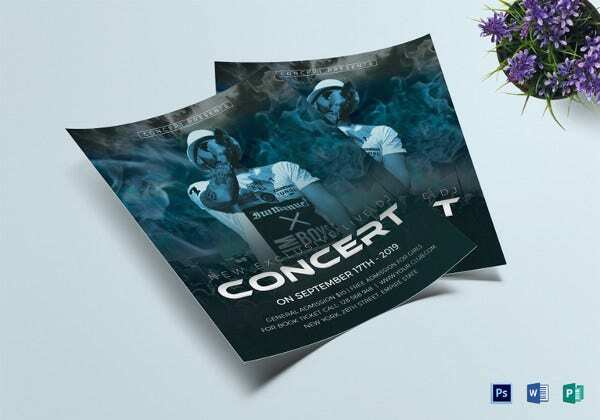 If music is your forte and you want to market your next lyrical event, use this template. It features a fantastic background, commercial free fonts, and CYMK color mode. It is easy to customize. 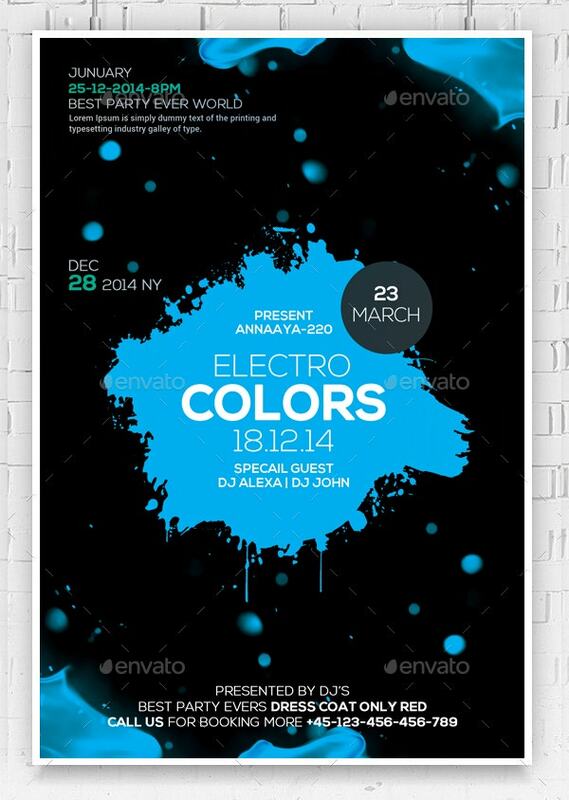 This is a cheap, CYMK color mode template for event organizers, book designers, and magazine writers. The template comes with commercial free fonts and is easy to edit and customize. A party should rock from the start. 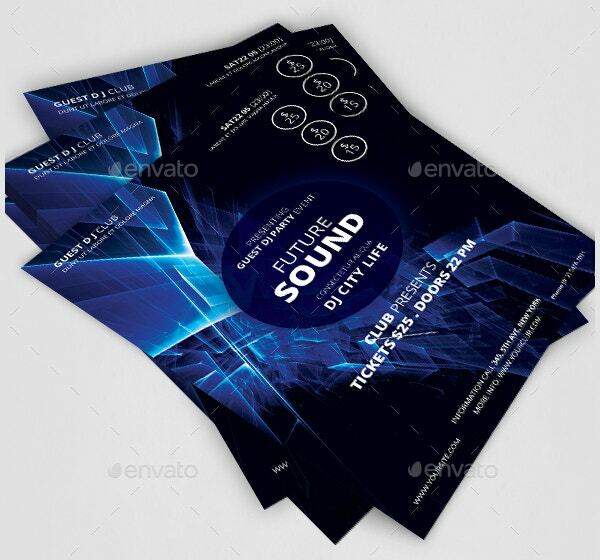 Therefore, you need an attractive flyer to create an appealing impression for the event. 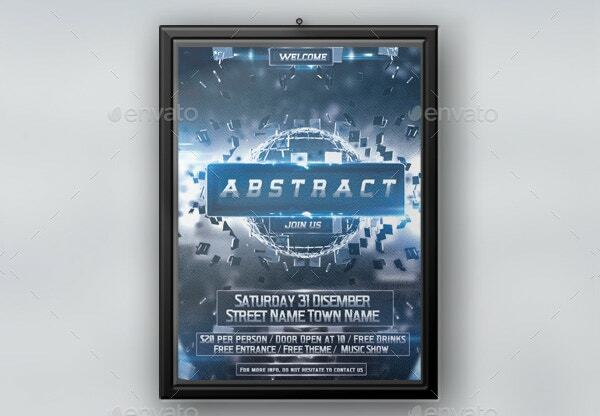 This template will help you attract a bigger audience to your highly esteemed party. 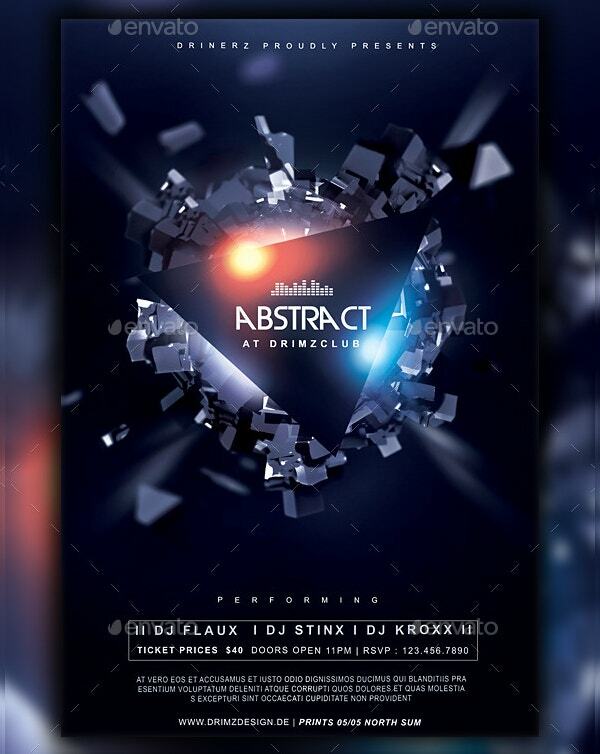 If you want to make many people keep talking about your party instead of another, create a perfect abstract party flyer using this template. The template uses the CYMK color and is easy to edit. 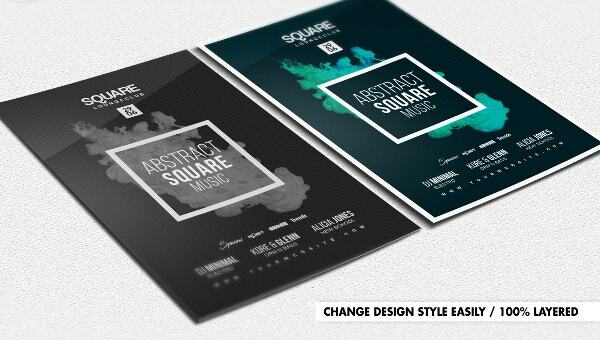 This template is a great tool for creating business mockups, magazine covers, eBook covers, and book covers. 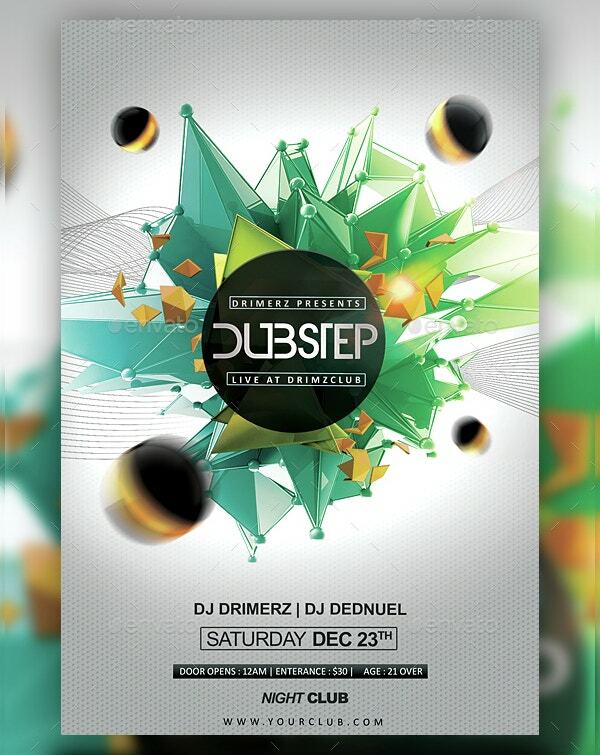 The flyer template is the best and cheapest marketing tool for your event or product. 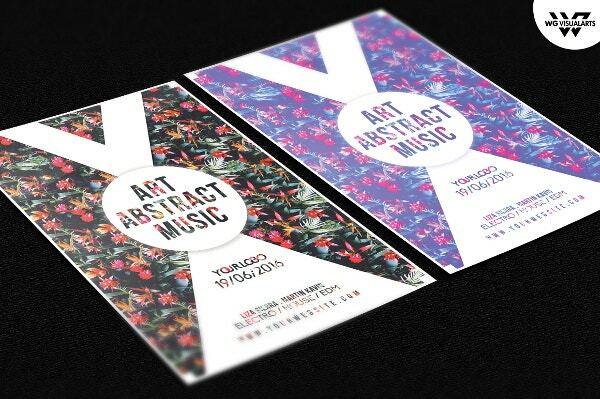 Modern flyers are often hard to create, usually in the sense that they take a lot of time to get the template done from scratch. 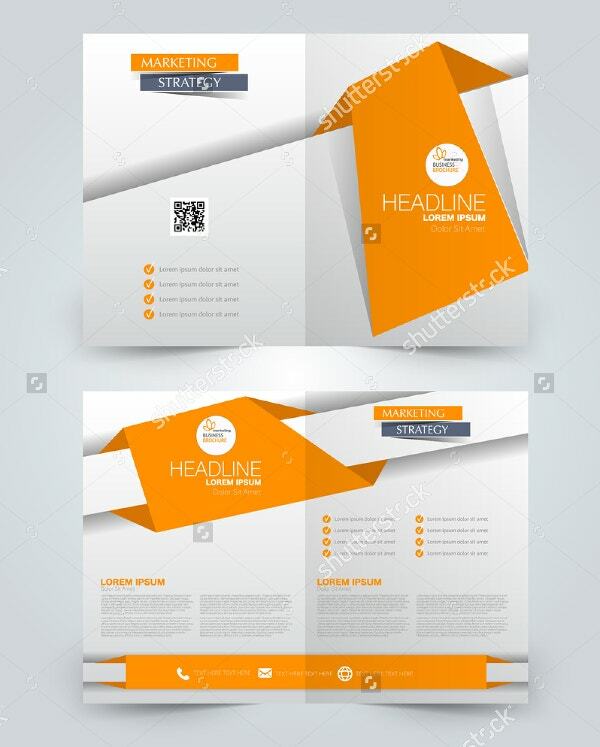 Downloading the template is a perfect option to getting started with design and customization as opposed to creating the template from scratch. This is a perfect template for businesses, events, or product marketing. 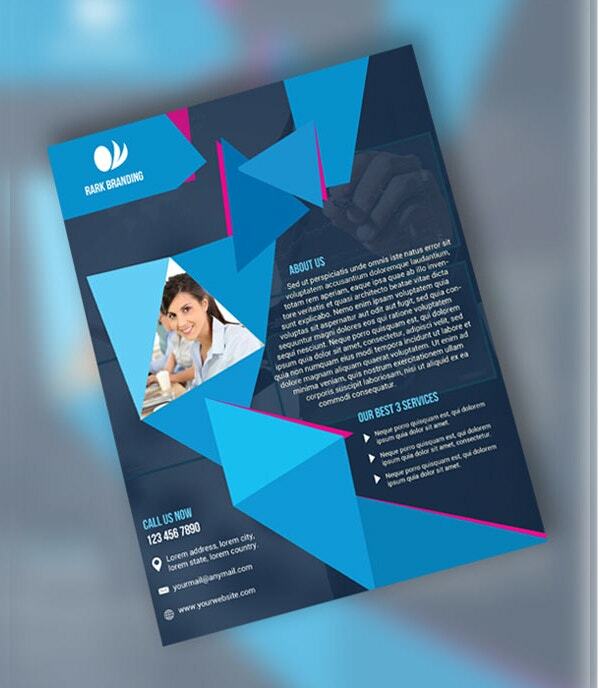 The flyer is the perfect direct marketing tool as opposed to online marketing as well as paid television ads. 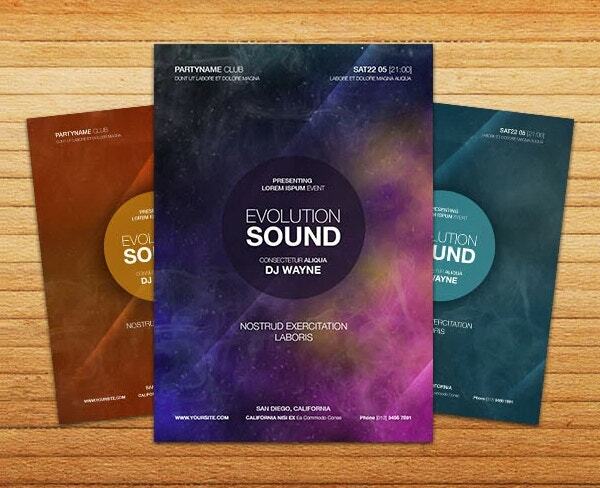 Are you looking for the best exploding party flyers for the next big event? Use this easy-to-edit and print-ready template. It features a high-quality design. It uses commercial free fonts and CYMK color mode. 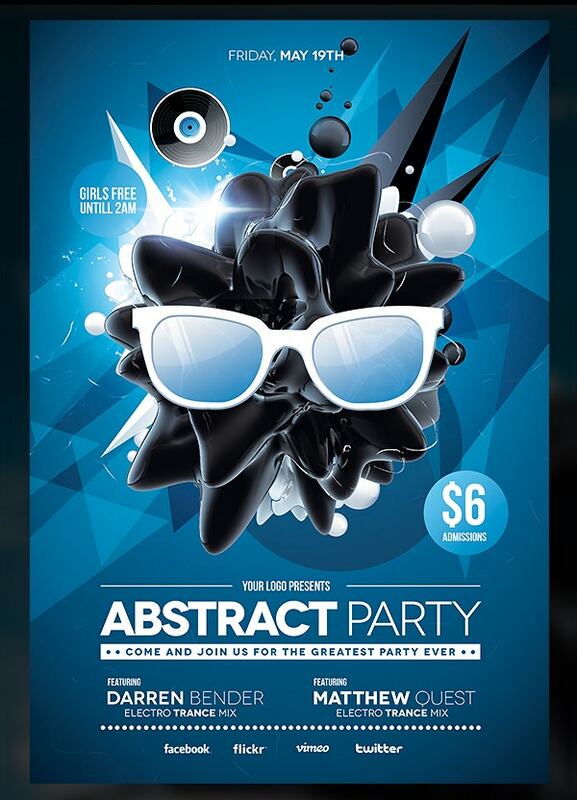 The minimal abstract flyer features commercial free fonts, friendly colors, and a unique background. You can customize the template or just edit the content by replacing the default text with your own. 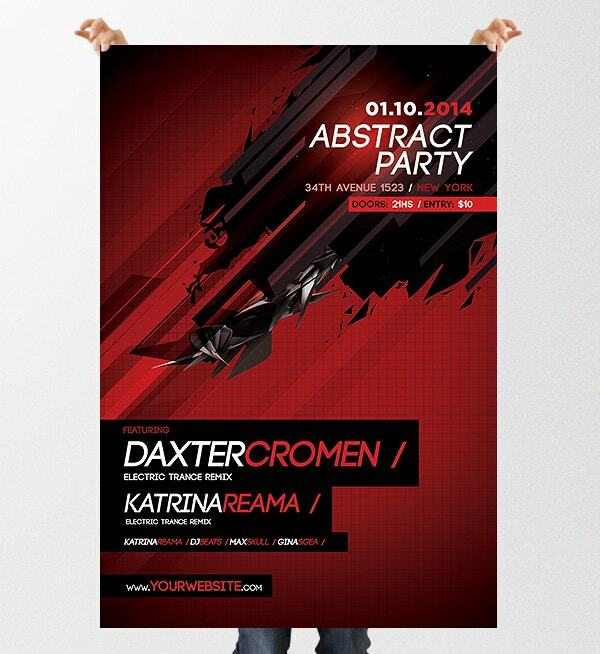 This template makes the best poster for any party or event. All you have to do is download and then customize it for your personals needs. Customize the template to suit your party or event. If you are looking for a template that you can use for different purposes, you should consider using this one. The best thing about the model is that it does not take a lot of time to edit the template. 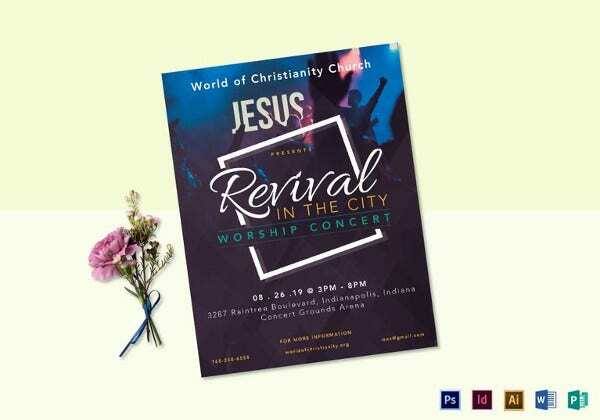 Flyers are often cheap, and that means you can buy, edit, and print many copies without spending a lot of money. 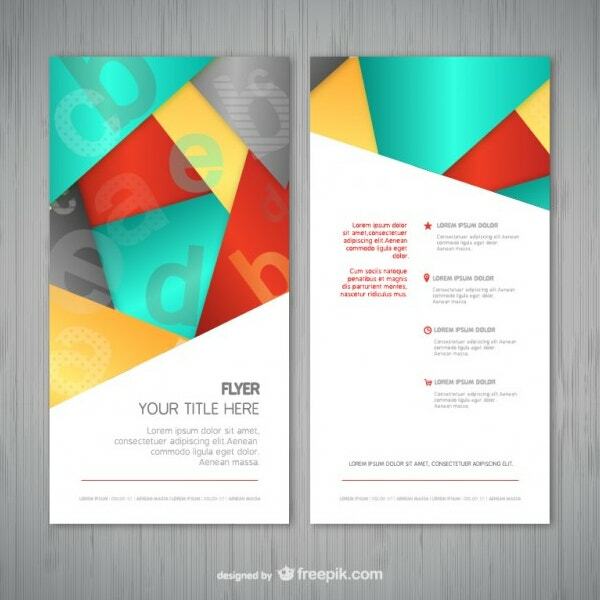 You can customize the template only if necessary, but you should use the Flyer Template exactly as it is. Being able to download the template eliminates the need to hire a designer, thus you end up saving more money at the end of the day. 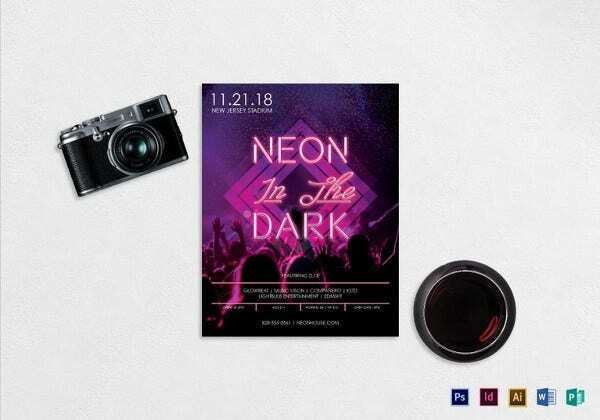 31+ Photography Flyer Templates – PSD, Word, Publisher Format Download!